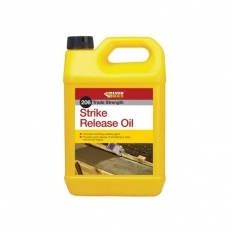 Strike Release Oil is a highly effective 'release agent' that enables concrete shuttering to be removed from the work piece easily. It will also leave the edges of the concrete structure clean and well formed. Suitable for most types of form work.